Do You Need Air Duct Cleaning in Alameda County? You’ve noticed mold growing on some of your ducts. You suffer from asthma or allergies and have a difficult time breathing in your house. You have many pets with lots of fur and dander flying. You’ve tried everything from vacuuming to cleaning to air filters to working with your doctor. It might be time for an air duct cleaning. Air duct cleaning cleans your heating and/or cooling system – from the coils to the ductwork that runs throughout your home to the registers and grilles that send air to and from the heating or cooling source. A proper air duct cleaning addresses the entire system. You no doubt have encountered many claims and received many coupons at your home in Alameda County, whether you live in Berkeley, Oakland, Fremont, Hayward, or San Leandro. No matter where you are looking, you want to be sure you are getting a complete cleaning from a qualified firm. Use the information below to help you decide on the best air duct cleaning company for you. We’ve all got the coupons or flyers. Really cheap air duct cleaning that will change your life. As usual, what’s too good to be true usually is, and you’re sensible enough to realize it. As you move around your house in Alameda County, whether you live in Oakland, Berkeley, Fremont, Hayward, San Leandro, or Pleasanton, Newark, or Dublin, you may be asking yourself what an air duct cleaning will actually do for you. You’ve heard about concerns about indoor air quality – where pollutants can build up to greater concentrations than in the outdoors. Especially if you have asthma sufferers or allergies, or have lots of pets, you may be even more aware of air quality. Will cleaning your air ducts help resolve the problems? Never work with a company that makes grandiose claims about dramatically improving your life. The research simply isn’t there to back up the claims. Air duct cleaning makes sense in that air ducts and your heating/cooling system send air through your home, air may have particles in it, and those particles may accumulate over time. So it makes sense to clean those areas once in a while, if you want to. Of course, if your HVAC system shows signs of mold, you should definitely have it cleaned. You should also search for the sources that allowed the wet in to start the mold, since it will merely mold again until you address the root cause. You should also have your ducts cleaned if vermin or insects are infesting them. And if you can see that dust or other material is clogging the ducts or dust actually gets spit out the registers, you are a good candidate for air duct cleaning. When you are not sure whether you need air duct cleaning, you can ask the people who installed your heating and/or cooling system. They may be able to help you understand how sealed or unsealed your system is, and where possible contamination may enter. 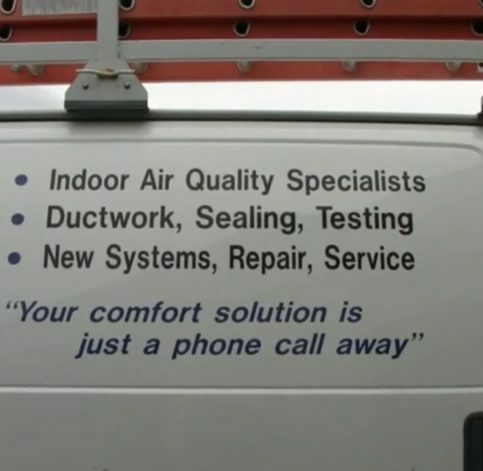 You can, of course, also ask an air duct cleaning company. They should be professional and responsible, but you must take care, since of course they also want to sell you something. You should also avoid working with any air duct cleaning company that promises to do the job for a very low rate. If you look at the all the components that must be cleaned in a proper service, you will see that it is no small job. In addition, the company has overhead for the proper equipment, including the vacuum systems. A teaser rate may be advertised by the company, then charges piled on so that you end up paying a large amount. In 1996, the EPA estimated that a good air duct cleaning job costs between $450 and $1,000. Look for an air duct cleaning company that will provide a reasonable estimate, taking into account the size of your house and ductwork, access to the heating/cooling coils, and the entire system. One other thing to avoid is a company that wants to schedule regular air duct cleanings. The frequency with which you decide to clean your ducts depends on who is living in the house, what animals are present, whether there is a change in conditions, such as a sudden increase in rain and subsequent water damage followed by mold, and the like. Since the benefits of air duct cleaning are not yet documented, you should have it done only when you need it. A good air duct cleaning company will understand this and not try to lure you in annual cleanings, or the like. Air duct companies themselves estimate that a cleaning lasts between three to seven years, a very wide range that makes setting up a schedule less than helpful. Also, if you have the misfortune to encounter a poorly trained technician, your heating and cooling system runs the risk of damage. Once you’ve decided that you do want to clean your air ducts, and you are looking for a good air duct cleaner in Berkeley, Oakland, San Leandro, Hayward, or Fremont, there are several things you can look for. Your air duct cleaner should have the proper tools to complete the job. This includes a vacuum to remove particles from the air ducts. The vacuum may be truck-mounted or may be portable. Some companies claim their truck-mounted vacuums are superior, but the National Air Duct Cleaners Association (NADCA), the trade association for HVAC cleaners, says that if their standards are followed, both truck-mounted and portable vacuums will do the job effectively. Truck-mounted vacuums do tend to be more powerful, but on the other hand, a portable vacuum can be brought into enclosed spaces, closer to the ductwork itself. If a portable vacuum is used that exhausts into the interior, it must have a HEPA filter to prevent particles from entering the interior space. Your air duct cleaner may also have a use for handheld vacuums and wet vacuums, and these should also have HEPA filtration. Your air duct cleaner might also need tools to cut into ductwork for better access. Inspection tools might include mirrors, a camera or closed-circuit television, or a periscope. Brushes are used to agitate the equipment and loosen dust. Some air duct cleaning companies may also use an air whip, an air gun, or a blowgun to loosen and move debris. However, fiber glass components can be damaged by these, so care is needed. 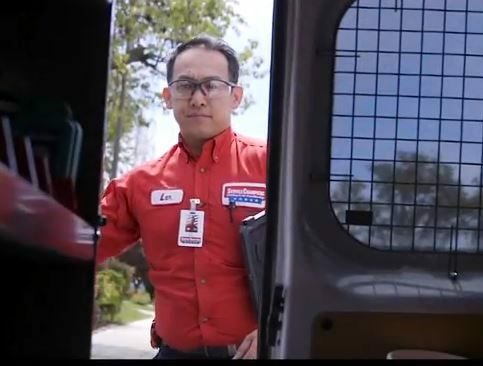 Just exactly what training your air duct cleaner needs to operate in Alameda County, whether in Berkeley, Oakland, Fremont, San Leandro, Hayward, Alameda, Union City, or Dublin can sometimes be a source of debate. For a proper cleaning, your air duct cleaner should have a C20 contractor’s license from the California Contractors State License Board. 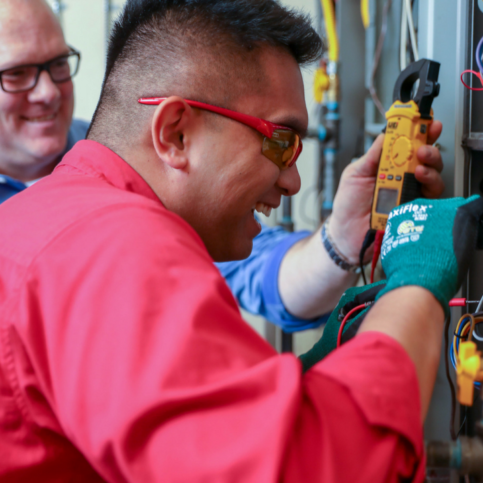 This is because the C20 license is granted for building, maintaining, and repairing heating, air conditioning, and ventilation (HVAC) equipment. In a proper air duct cleaning, the cleaning includes removing and cleaning the blower motor components, then reinstalling them. Since the blower motor is part of the HVAC system, the air duct cleaning company should be properly licensed. 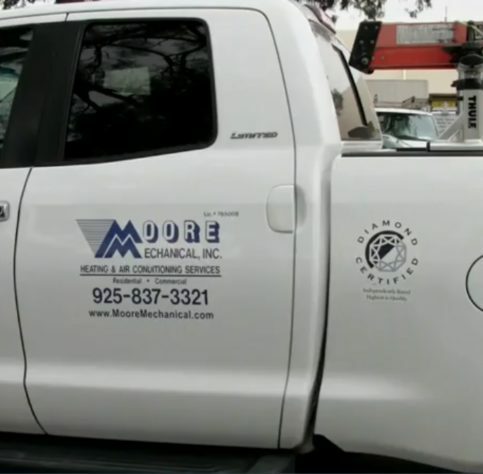 California contractors are required to include their license number in their advertising. You will notice that many air duct cleaning companies do not have a license. 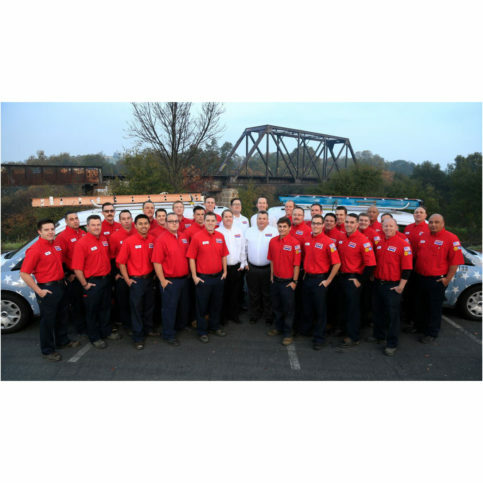 You should ask them why not and what components they include in the air duct cleaning that they provide. In addition to the state license, it’s a good idea to look for air duct cleaning companies that belong to the National Air Duct Cleaning Association (NADCA). Members of the association will perform work to the association’s defined standards. The companies also pledge to hire at least one certified Air Systems Cleaning Specialist (ASCS). 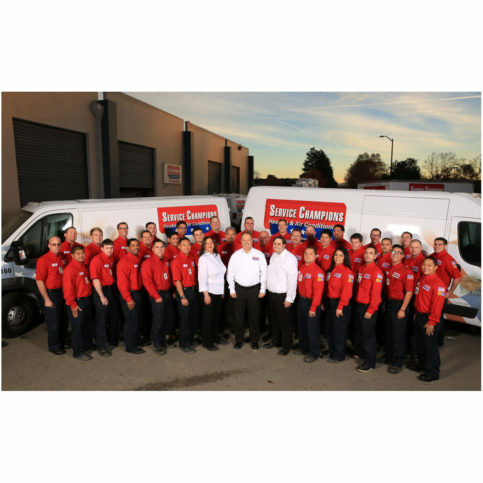 When you hire your air duct cleaning company in Alameda County, whether in San Leandro, Pleasanton, Fremont, Newark, Dublin, Berkeley, Oakland, Hayward, Alameda, or Union City, you should follow good guidelines for hiring contractors in general. Ask two or three contractors to provide an estimate for your particular house, not a general estimate. Ask how long the company has been in business, along with what licenses and certifications it has. California requires any company with employees to have workers compensation insurance, so check that the company has this, otherwise you can be liable if a worker is hurt on your property. Also check that the air duct cleaning company has general liability insurance and is bonded. 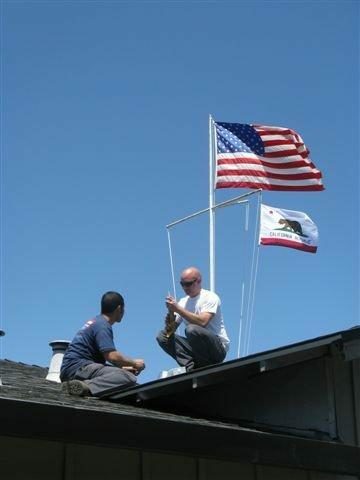 California requires that its contractors have bonding. Ask for a written agreement before work is started. Ask how long the job may take and how many workers it may involve and make sure any quote covers those variables. Ask how the firm plans to protect any pets and the house during the cleaning process. What Should I Expect From My Alameda County Air Duct Cleaning Company? As you look for your air duct cleaning company, whether in Berkeley, Oakland, Fremont, San Leandro, or Hayward, it’s a good idea to know what to expect from a proper cleaning. Before beginning any air duct cleaning, the company should look to see if asbestos is present in the system. If it is, it must be handled according to regulations. An air duct cleaner should use tools, such as brushes or blowguns, to agitate debris, in concert with a vacuum that will pull the debris out of the heating or cooling system. Both the supply and return air ductwork should be included. The supply air ducts supply heated or cooled air to the rooms, while the return air duct takes air back to the heating or cooling devices, usually a coil. The supply registers, return air grilles, and any diffusers should be taken down, cleaned, and replaced. The supply and return plenums need to be cleaned. Check especially for moisture on the supply plenum, which can lead to mold. The supply plenum sometimes gets damp if condensation from the coil is not properly drained. The plenums are boxes that are close to the coil for the heating or cooling device and connect to the rest of the ductwork that travels throughout the house. The heat exchanger’s air-stream side should be cleaned, as should the secondary heat exchanger. The blower motor and its housing and assembly should be removed, cleaned, and put back, leaving no oil or other dirt on the blades and the blower compartment clean. The evaporator coil, drain, and pan should all be clean, and the coils should not be damaged or pushed together after the cleaning. Any air filters should be replaced with filters that match those recommended by the heating/cooling system’s manufacturer. The air cleaner should also be washed. Why Is My Air Duct Cleaner Recommending Chemicals? Sometimes, an air duct cleaning company will recommend using chemicals to clean or as a preventative, for example, to prevent mold. For example, the evaporator coil may be cleaned using chemicals and water instead of vacuuming. To prevent bacteria and fungus growth, some air duct cleaners may recommend a chemical. You must be extremely careful about allowing the use of such chemicals. Releasing them into the air in your home may cause problems for the occupants. In addition, all such chemicals must be registered for specific uses with the EPA, and they cannot be used for other uses. There are a small number of chemicals that are registered for preventing bacteria and mold. Besides being registered, the chemical must be able to be used as described on its label. For example, if the label requires rinsing with water, it should not be used, since it is not a good idea to introduce water into your ductwork. Note particularly that these chemicals can only be used on bare sheet metal. Much ductwork today includes fiberglass board, or is flexduct, which includes fiberglass, or is a metal pipe lined with fiberglass. 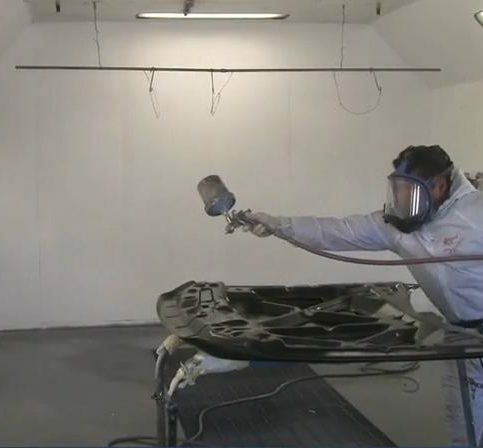 In any case where fiberglass is involved, the material should be replaced if it has mold or other contamination, since there are not products approved to clean fiber glass. If you do allow a chemical to be used, you should first ask the air duct cleaner to show you the mold or other microbial growth. You should be aware that just because something looks like mold, it may not be. If your air duct cleaner shows you material from inside your ducts and claims that it is mold, you should get it checked by a laboratory to prove that it is mold. The chemical should be shown to you, so that you can verify that it is approved for use in your situation. Using chemicals to kill microbes should be a last result. Consult with your air duct cleaner to find out if there is no way to simply remove the existing growth and then address the source of the problem – for example, improper evaporation drainage – to prevent it from recurring. Some air duct cleaners may recommend a sealant to prevent dust and particles from escaping from the duct into the air. In most cases, these sealants do not provide an added value. First, they are often sprayed into the ducts, so that proper coverage is not guaranteed. In addition, a sealant may harm ducts built from fiberglass, reducing their ability to reduce noise and possibly even harming their fire retardation abilities and voiding the manufacturer’s warranty. Sealants for preventing dust from escaping are generally not recommended by the EPA, NADCA, the North American Insulation Manufacturers Association (NAIMA), or the Sheet Metal and Air Conditioning Contractors’ National Association (SMACNA). 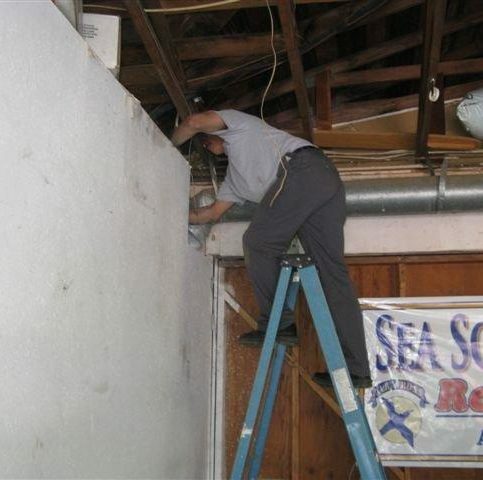 There are other sealants that may be appropriate when repairing damaged fiberglass insulation or fire damage in the ducts. A sealant should never be applied on top of wet, dirt, mold, or the like. Why Trust Diamond Certified Air Duct Cleaning Companies Rated Highest in Quality and Helpful Expertise®? 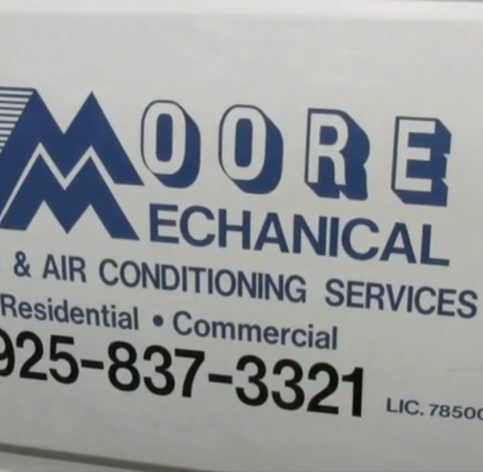 Steve Moore is a veteran of the HVAC industry and owner of Moore Mechanical, Inc., a Diamond Certified company since 2007. He can be reached at (925) 560-1505 or by email. Q: Did you play any high school sports? A: I played football and wrestled. 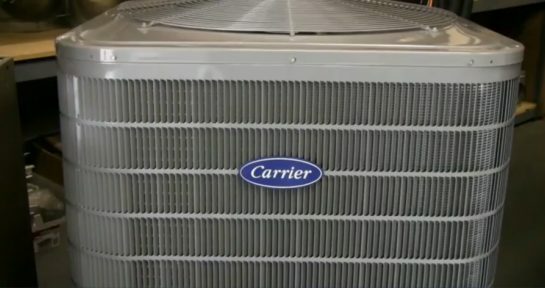 Video: What’s in an HVAC Estimate? Kevin Comerford is president of Service Champions, a Diamond Certified company. He can be reached at (925) 444-4444 or by email. A: The Oakland Raiders, Oakland A’s, San Jose Sharks and Golden State Warriors. What can I say, I have an East Bay slant! A: An early bird—I wake up at 5am every day. A: Summer, because I get to be outdoors and spend time relaxing with my family at our lake house. A: In 1985, I received a jet ski from my parents. A: Nuts, carrots and hummus. Moore Mechanical proudly displays its Diamond Certified status. 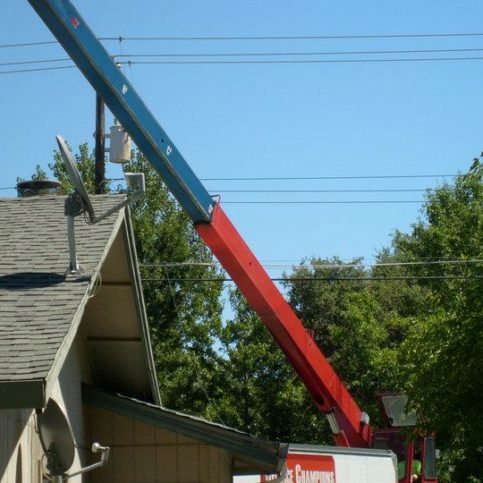 Moore Mechanical serves both residential and commercial clients. 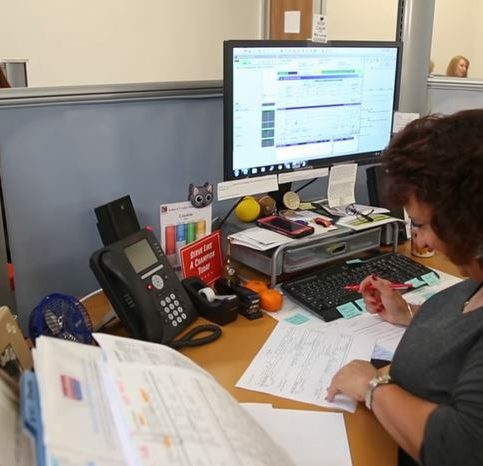 A Service Champions technician helps a customer with her paperwork. 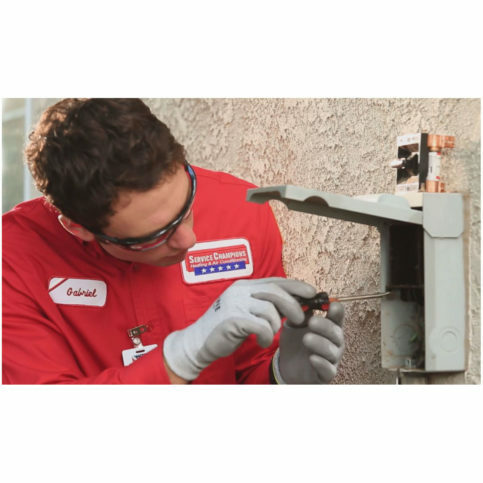 All of Service Champions technicians are EPA-certified. 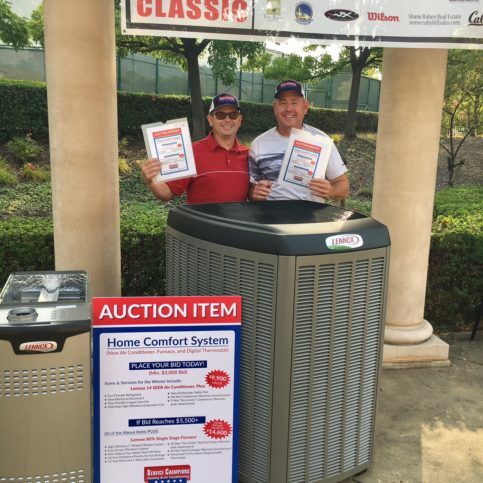 Service Champions sells, installs and services HVAC equipment. 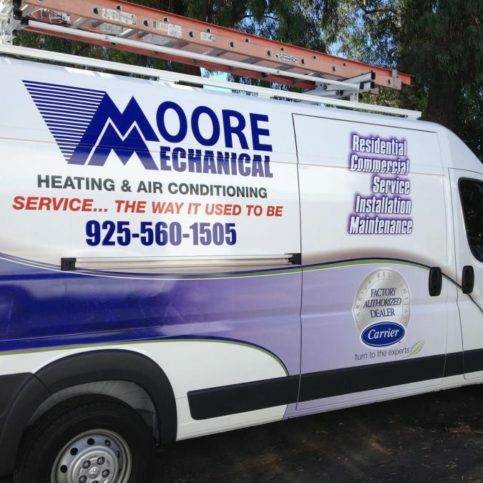 Moore Mechanical offers a wide variety of services. The company strives to provide optimum in-home comfort and safety. 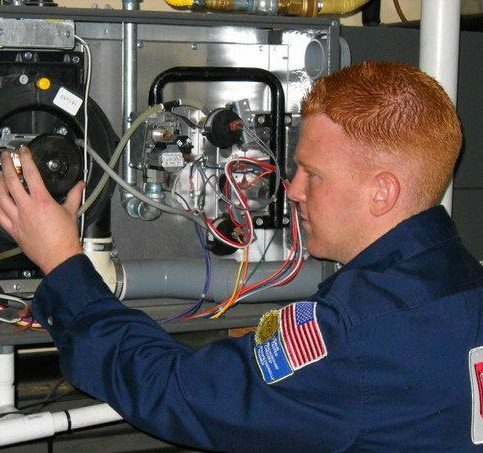 A Moore Mechanical technician performs a test on an HVAC system. Service Champions installs top-of-the-line products. Its technicians stay up-to-date with ongoing training. 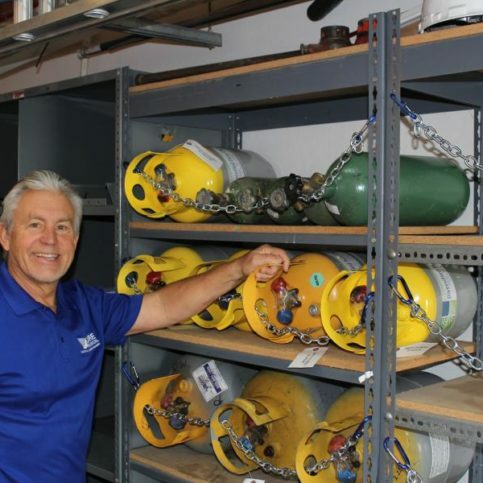 Service Champions owns heavy-duty industry equipment. Its service vehicles are fully equipped with needed materials. 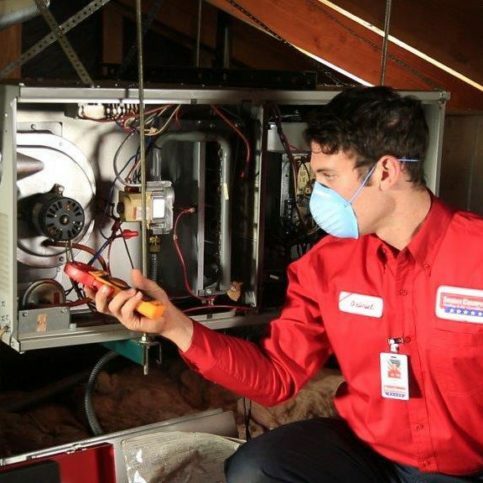 A Service Champions technician works on a customers HVAC system. 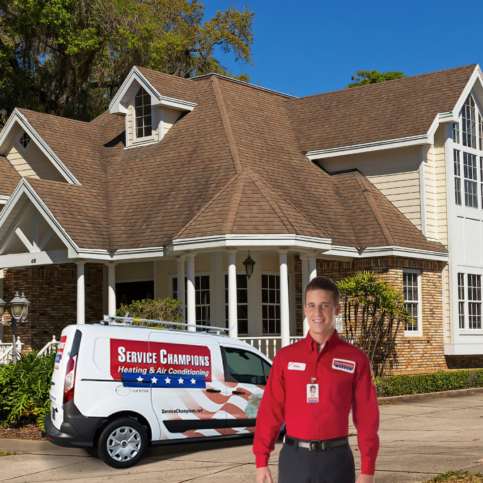 Service Champions also provides air duct cleaning and sealing. The company's technicians engage in weekly training sessions. 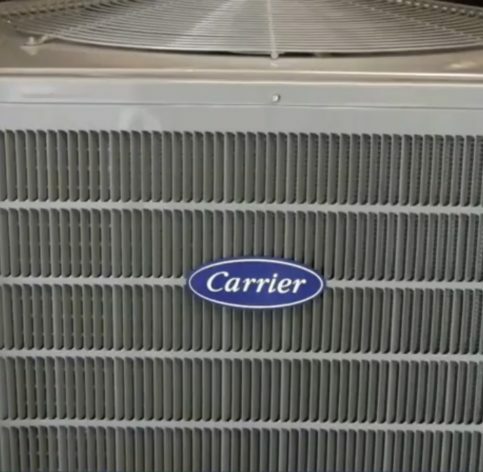 Moore Mechanical installs products from Carrier, Trane and York. The company also offers an exclusive on time guarantee. As you are deciding whether or not to hire an air duct cleaning company, you can ask yourself a few questions to prepare. No matter where you are looking in Alameda County, whether in Berkeley, Oakland, Hayward, San Leandro, or Fremont, you want to be prepared. Going into the search, there are a few things to think about. 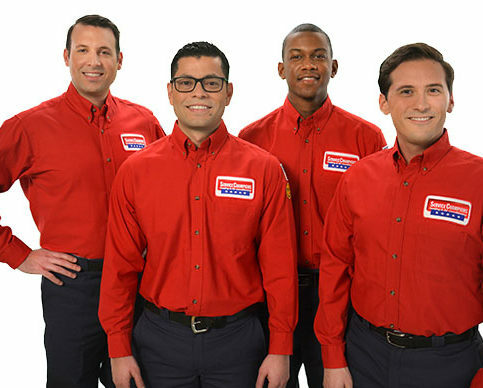 Asking yourself the following questions may help you prepare to hire the best air duct cleaner. Do I want to make sure my air duct cleaning company is licensed as an HVAC contractor? Do I see mold on my ductwork or smell a moldy smell? Can I easily access my heating/cooling system components or will I expect the air duct cleaning team to have to create access? What are my ducts made of? Sheet metal or sheet metal lined with fiberglass? Flexduct? Fiberglass board? Is it important to me that my air duct cleaner be associated with NADCA? Is my heating/cooling system working properly before the cleaning? Do I want chemicals used in my air duct cleaning? Do I want an Alameda County air duct cleaning firm that will protect my family, my house, and my pets during the cleaning process? Am I looking for a company that will promise the world or one that will offer a realistic assessment of my house and needs? You are most likely to encounter your Alameda County air duct cleaning representative in person when they come to your home to do an estimate. A visual estimate is the best way for the air duct cleaning company to know what is actually involved with your home. Some air duct sweeping companies may have you describe your system over the phone, in which case, the more you know about it, the better. But speaking in person with someone who will perform the estimate for your house is one of the best ways to get insight into the process. Do you see any places where you may have to open up access to my ductwork or heating/cooling system? If you do need to open access points, how will you make sure they are sealed after the cleaning? How many workers do you think the job will take? Will you use vacuum cleaners in the house that don’t vent outside? If so, are they HEPA filtered? Do you see fiberglass used in my heating/cooling system? How will you clean it? It’s best to choose a Diamond Certified air duct cleaner because all certified companies have passed an in-depth ratings process that most other companies can’t pass. 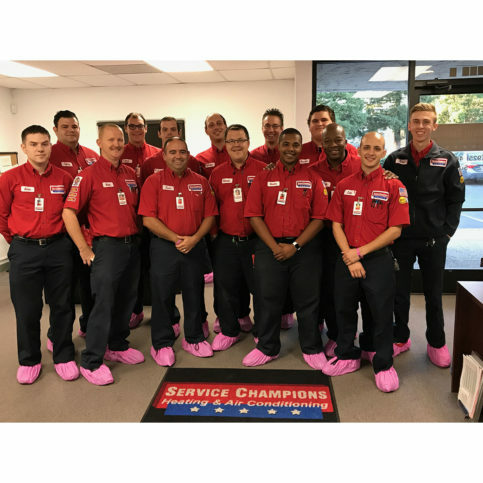 If you want quality from an air duct cleaner in Alameda County and the Greater Bay Area, you can have confidence choosing a Diamond Certified company. Diamond Certified reports are available online for all certified companies. And you’ll never be fooled by fake reviews. That’s because all research is performed in live telephone interviews of actual customers. If you can’t find a Diamond Certified air duct cleaner within your area of Alameda County, you’ll have to do some research yourself. For example, it’s wise to call some references provided by your air duct cleaner. 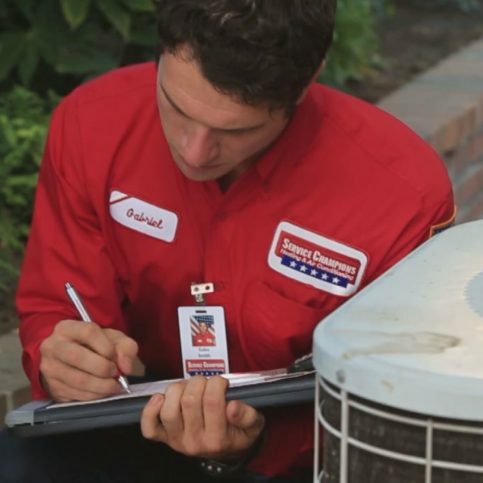 Keep in mind that references provided to you by local air duct cleaners are not equal in value to the large random sample of customers surveyed during the Diamond Certified ratings process. That’s because contractors will likely give you a few customers to call that they know were satisfied. If you do call references, specifically ask for a list of the air duct sanitizing company’s 10 most recent customers. This will help avoid them giving you the names of only customers they know were satisfied. 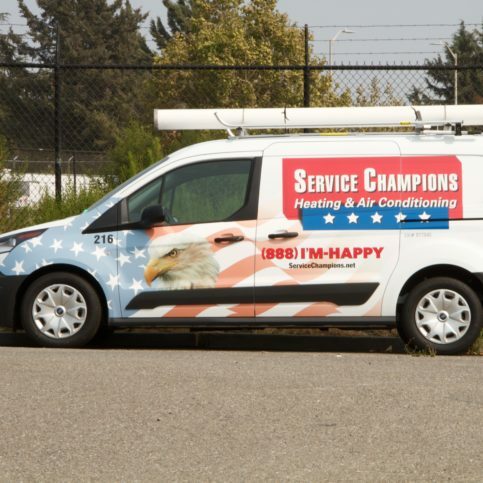 Were you satisfied with the air duct cleaning services this company provided? Why or why not? Did the air duct cleaners respect your house and leave it clean after the air duct cleaning was completed? Was there any damage to your heating/cooling system as a result of the air duct cleaning? Did you have air duct cleaning chemicals applied to clean your system? Did the air duct cleaning company recommend any chemicals for killing mold and bacteria? Did you get a written estimate for the air duct cleaning services? Was the quoted price what you paid? Or did the air ducting cleaners tack on fees? Was your entire system cleaned or did they blow air through only the ducts? Was the air duct sweeping crew pleasant and easy to work with? Did the air duct cleaning team help you inspect the work after they cleaned? Before deciding on the best air duct cleaning in Alameda County for you, consider the following questions. Is the air duct cleaning company licensed and affiliated with NADCA? 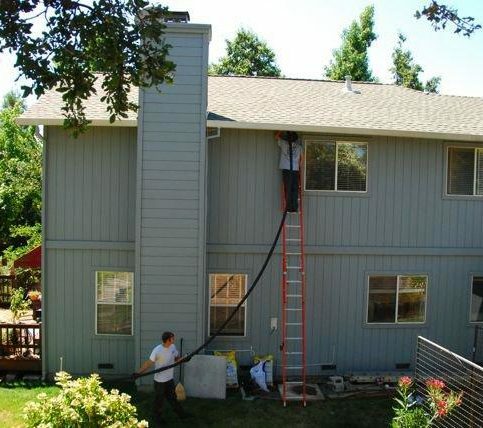 Is the Alameda County air duct cleaning company I’m interviewing dedicated to do a complete job, cleaning all components of the system or are they just going to blow air through just the ducts? Is the air duct cleaning company acting professionally, giving a valid, written estimate of the cost of the job? 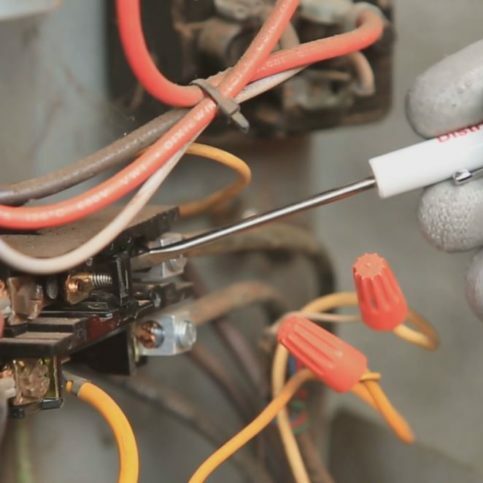 Are the technicians performing the job certified by NADCA? Does the air duct cleaning company act in accordance with the best ethics, reviewing the site for possible asbestos? Is the air duct cleaning company concerned with keeping your family, pets, and house safe during and after the cleaning? Does the air duct cleaning company have the appropriate equipment to perform the job safely, especially HEPA filters on any vacuums that exhaust into the building? 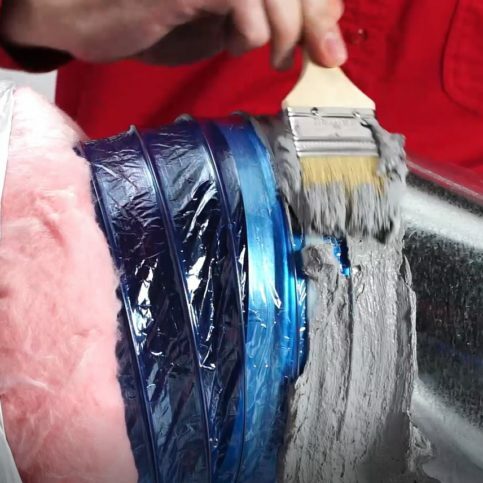 Does the air duct cleaning company ask the right questions about the composition of your duct system and explain how they will handle fiberglass materials? Does the air duct cleaning company recommend the use of chemicals? If so, can they clearly explain the value of doing so? Does the air duct cleaning company help you inspect the job after it is complete? Before you hire an Alameda County air duct cleaning company, whether you are looking in Berkeley, Oakland, San Leandro, Hayward, or Fremont, do a little homework. Know what kind of heating or cooling system you use. 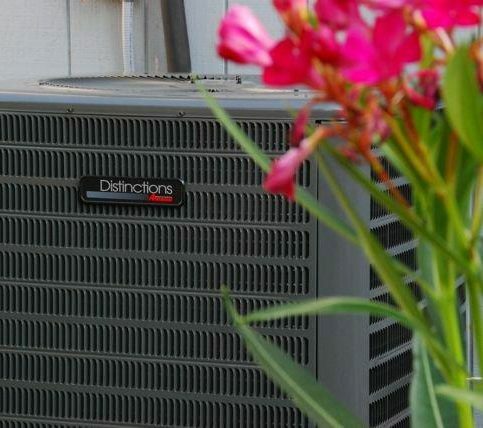 Is it a furnace and air conditioner or do you use a heat pump? Take a look at your ductwork. Are they bare metal pipes? Or are the pipes lined with fiberglass? Does your system use fiberglass duct board or flexduct? If you cannot tell, ask for help. Look for areas where there are large amounts of dirt that may clog the system, look for signs of mold, and look for signs of animal or insect infestation. Consider access to your system—make sure the cleaners can get to it. Be aware of areas where the air duct cleaners may have to create access. After you’ve decided which Alameda County air duct cleaning company you are going with, whether you are in Oakland, Fremont, San Leandro, Hayward, or Berkeley, you need to work with them to get a good, written estimate. 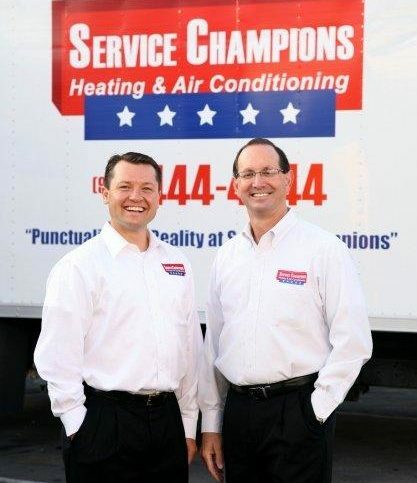 Ask any questions you have about how they will clean your heating/cooling system. If chemicals are recommended, ask to see the labels and make sure the chemical is used for the purpose described on the label and in the manner described on the label. Work with your air duct cleaner to protect your furniture and floors, as agreed. If chemicals are used, it’s wisest to clear all occupants of the house, including pets, during the application. You can make the job easier for your air duct cleaning company by being prepared. Know as much about your heating/cooling system as possible, so you can indicate what you want cleaned. Know the materials used in your system so you can make the appropriate choice, for example, knowing that you should not try to fix wet, moldy, or smelly fiberglass material, but should replace it. Work out with the air duct cleaning company how the furniture and floors will be protected, and do your part as agreed. Speak with your air duct cleaning representative about where access might need to be added. Be clear that you expect any additional access to be sealed after the cleaning. Being clear about expectations prevents frustration on both sides. If you cannot be on site during the cleaning, make sure the air duct cleaning company can contact you if anything comes up. Let the air duct cleaning company know at the start of the appointment that you would like to use their inspection tools to check after the cleaning is done. How Can You Be a Good Air Duct Cleaning Customer? It’s the contractor’s responsibility to perform quality cleaning services on your home air duct system. But you can take a few easy steps to ensure the success of your air duct cleaning service, too. Here are a few simple steps you can take to be a good customer when hiring an Alameda County air duct cleaner. Be clear and upfront with the air duct cleaner. Let them know what you want from your air duct cleaning, the long-term outcome you’re expecting and specific ways they can satisfy your expectations. 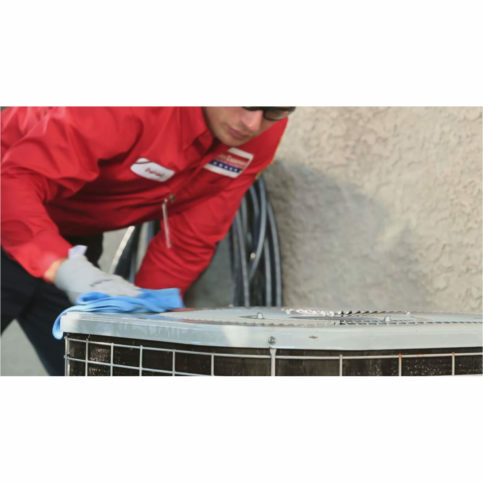 Before you hire an air duct cleaner in Alameda County, restate your expectations and goals, and reiterate to the air duct cleaning representative your understanding of the agreement. 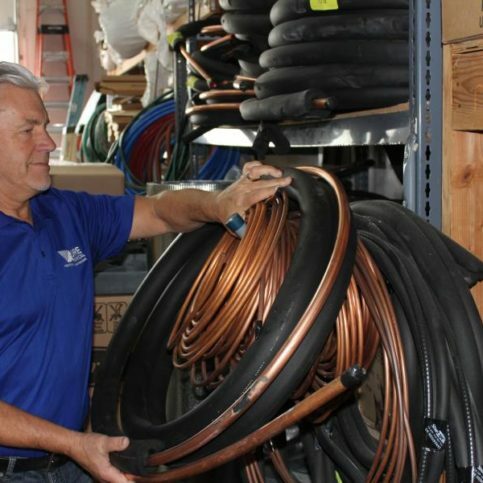 Most problems with local aid duct cleaners occur because of a breakdown in communication. By being clear about your expectations and theirs, you can avoid most conflicts. Ask your air duct cleaner if you should call to check on the progress or if he will call you with updates. Be sure your service representative has a phone number where they can reach you at all times while they’re cleaning your air ducts. The work will move along more smoothly if your air duct cleaner can reach you for any necessary updates, questions or work authorizations. When your contractor contacts you, return calls promptly to keep the air duct cleaning on schedule. Pay for the air duct cleaning work promptly. Why would you want to be a good customer? 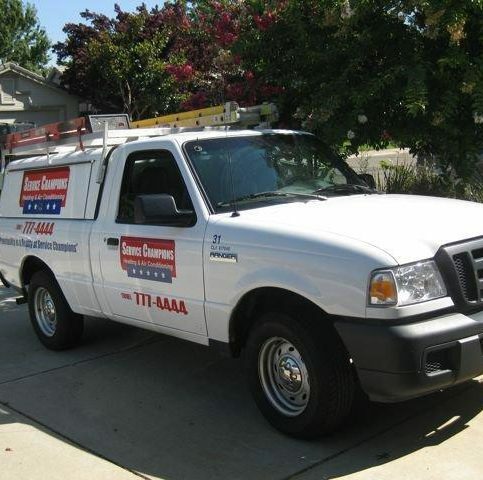 Air duct cleaners in Alameda County appreciate customers who are straightforward, honest and easy to work with. Your good customer behavior sets the tone from your end and creates an environment conducive to a good relationship. Things may very well go smoother and any problems may be more easily resolved. Check the work against the invoice, making sure that all the pieces of the system are cleaned as discussed. You may also have prepared your personal checklist of the pieces to be cleaned. Try to get this checklist as part of the invoice. If not, go through the checklist to make sure all the pieces of the system were cleaned as expected. Ask your air duct cleaning company about warranties. 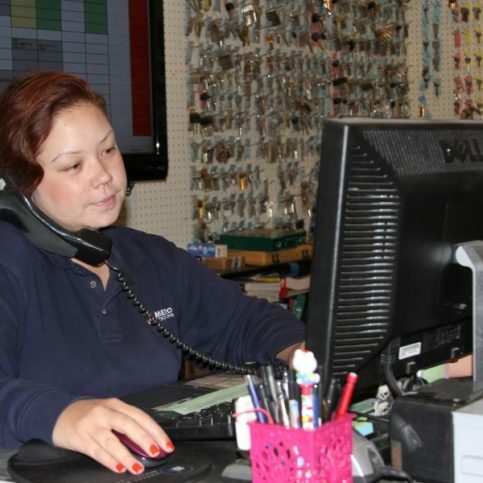 Many provide services with a guarantee of customer satisfaction. Ask what the warranty covers and what the process is for making a claim against the warranty. Ask about the procedure for compensation if the heating/cooling system is damaged during cleaning. How Do I Know My Alameda County Air Duct Cleaning Contractor Did A Good Job? 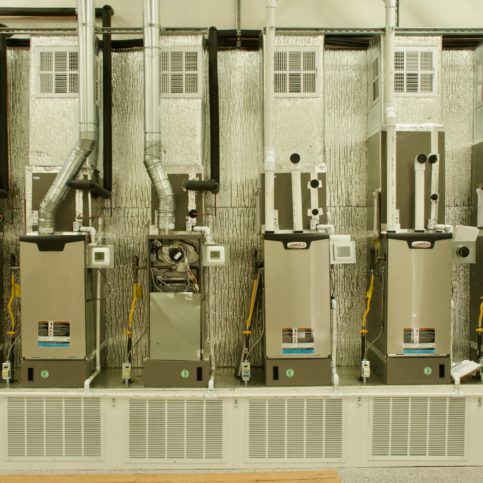 To see whether your Alameda County air cleaning company, whether in Berkeley, Oakland, San Leandro, Hayward, or Fremont, did a good job, perform a visual inspection. Something must have led you to wanting your air ducts clean. Is that problem resolved? Look down the ducts to see if you can see dust or particles. A good air duct cleaning company will lend you the same tools they use to inspect, so that you can see the job is well done. Many ducts today include fiberglass board, flexduct, or metal pipes lined with fiberglass. If you have fiberglass, make sure there are no rips or tears in the fiberglass. Look for mold or mold stains. Mold should be cleaned from metal pipes, and fiberglass material that had mold should be removed. Prepare a checklist of all the components that you expected to be cleaned—from the registers, to the plenums, to the blower motor, to the evaporator coil. Ask the air duct cleaning company if each component on your list has been cleaned, and ask for explanations if they have not been cleaned. You should be able to shine a flashlight on the evaporator coil and see the light shine through to the other side. If the air duct cleaner had to make any access openings, they should be shut after the inspection and properly sealed. Finally, you should test that the system works after the cleaning—in both heating and cooling modes, if you have both. Most good air duct cleaning companies in Alameda County will offer some type of warranty on their services. This may be a simple warranty that guarantees all work was done as promised, while others may guarantee relief from allergies or a cleaner home. If a warranty is important to you, make sure you discuss any warranties offered before the services are rendered, as it will most likely be impossible to convince your contractor to guarantee a job after the fact. The air duct cleaning contractor’s name, physical address and license number. If the garage storage system warranties are transferable to the new owner if you sell your home. What products and parts of the garage storage shelves are covered. This should also include whether they will replace or repair your garage storage system in the event of a product failure. When it comes to air duct cleaning in Alameda County, be sure you have a trained professional complete a proper air duct cleaning process. You should make sure that all the components of your system are cleaned properly. These are not separate service requests, but points that should be covered by any proper air duct cleaning service as part of the standard air duct cleaning. Make sure that the ductwork that send the air supply to the rooms in your house is cleaned. Check after the cleaning that the return ductwork, which sends air back to the heating or cooling device is clean. There are supply registers, return air grilles, and diffusers that are spread throughout your house as part of the heating and cooling system. These should all be removed, cleaned, and returned to their places during the air duct cleaning. The plenums are boxes that attach the devices that heat or cool the air to the rest of the ductwork that spreads through the house. Both the return and supply air plenums need to be cleaned, and you should make sure the supply plenum in particular does not have moisture built up. Sometimes, your air duct cleaning professional will need to cut access panels to get at parts of the system to cool it. You should make sure the access panels are properly sealed after the cleaning. Both the air-stream side of the heat exchanger and the secondary heat exchanger must be cleaned. The blower motor should be removed and cleaned, along with its housing and assembly. The blades must not have oil or other dust, nor should the blower compartment as a whole. The evaporator coil, pan, and drain must be cleaned. You should be able to point a flashlight at the coil and have the light shine through. If not, the coil is not clean. The dirty air filters should be removed and their replacements should match the efficiency rating recommended by the heating or cooling system’s manufacturer. The air cleaner should also be washed as part of the air duct cleaning. When you want to know if your air ducts are going to be cleaned properly, you need to be able to discuss your system with your HVAC expert. Below are some terms that may help you be more comfortable with the conversation. A rating on a furnace that indicates how efficiently the furnace uses fuel to make heat. Reported as a percentage. An AFUE of 90% indicates that 90% of fuel is producing heat, while 10% is leaving as exhaust due to combustion. Kind of compressor used for improved efficiency when compression refrigerant for cooling. In the heating and cooling systems for your house, the part that sends the air through the ductwork. Measure of heat. One BTU is roughly equivalent to the amount of heat that a wooden kitchen match gives off. A measurement that shows the number of cubic feet of air that flow by a single point in sixty seconds. Higher numbers indicate greater air flow. Refers to a system’s ability to affect a specified amount of space. Heating capacity is usually described in BTUs, while cooling capacity is usually described in tons. A gas created by combusting carbon-based fuels when there is not sufficient air. It is highly dangerous, while being odorless. 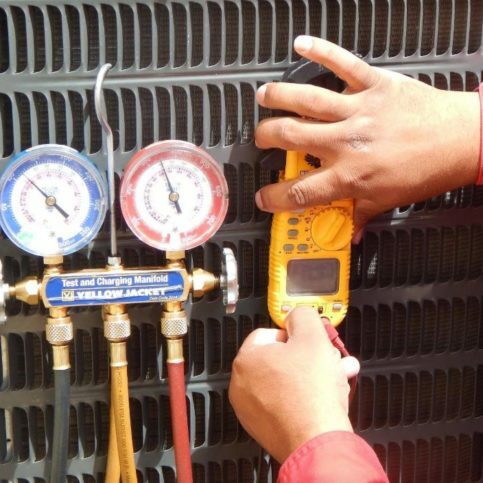 A part of a heating or cooling system that determines how much pressure is put on the refrigerant. It is typically part of the outside unit. 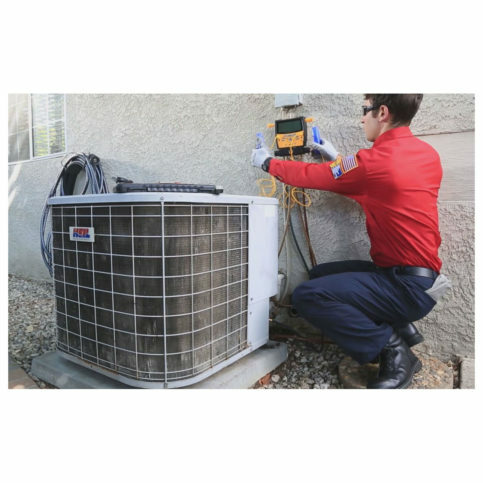 The condenser coil is the part of a heating or cooling system that returns refrigerant from a gas to a liquid. Changing the state from gas to liquid extracts the heat. It is typically part of the outside unit. Unit of measurement for noise. A damper is part of duct work. It can open or shut to allow or cut off airflow. Refers to a kind of furnace that moves cool air from the top and sends warm air to the bottom. Often used when a furnace is placed on the second floor. Pipes that send air from a system’s air handler to the vents located throughout the house. A calculation that determines how efficient a device’s energy use is. The formula is to divide the device’s BTU by its wattage. A kind of filter, it can remove large particles and contaminants from the air. For smaller particles, it magnetizes viruses, bacteria, and other tiny particles, then attracts them to a collection surface. Makes an air conditioner’s fan and compressor switch on and off in sync, so that less energy is used. A government program to label devices that offer better energy use than others in their category. This allows consumers to save on energy costs. Part of the indoor system for the heating or cooling system, it changes the state of the refrigerant from liquid to gas or vice versa, thus removing heat and humidity from the air. A fan coil may be used instead of the furnace and evaporator coil. The fan coil is also an indoor part of the system, and it changes the state of the refrigerant from liquid to gas or vice versa to remove heat and humidity. A type of filter used to prevent particles from re-entering the surrounding space. Measurement used to describe how efficient a heat pump is. A higher number indicates more efficiency. The acronym for heating, ventilation, and air conditioning. A part of a furnace that moves heat to the surrounding air. A heat pump moves heat and cold in and out of the house. When used in cooling mode, it performs like an air conditioner to remove heat from the house. In heating mode, it uses heat from the outside to warm the house. A kind of furnace that takes air in one side and send it out warmer on the other side. Installed on its side, it is often the type used for attics or crawl spaces. The electricity that a device uses when it is plugged in and not turned on. The plenum is sheet-metal box that allow more ductwork to connect to either the furnace outlet or the air handler outlet. A split system may be a heat pump or air conditioner. The components are installed in two locations, usually inside and outside. A compressor that can operate at two different levels. When properly sized, the device operates 80% of the time at its low level, and 20% of its time at its high level. By operating at the lower level most of the time, the device improves efficiency and reduces humidity level and operational noise. A furnace type. It pulls cool air in at the bottom and exhausts warmed air out the top. Often used in a basement installation. A device that gets heating or cooling energy from the indoors air and moves that energy to incoming air. Q: Why Choose a Diamond Certified air duct cleaner? 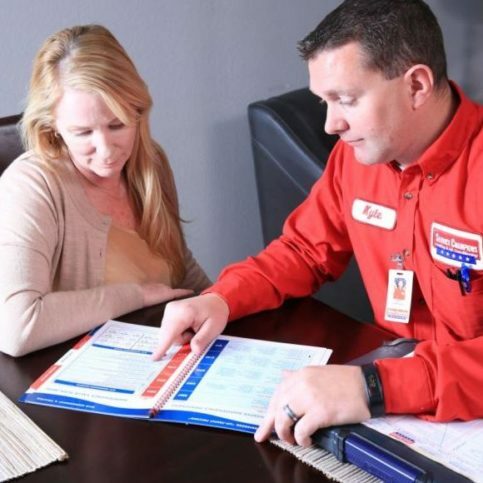 A: Diamond Certified helps you choose an air duct cleaner with confidence by offering a list of top rated local companies that have passed the country’s most in-depth rating process. Only air duct cleaners rated Highest in Quality and Helpful Expertise® earn the prestigious Diamond Certified award. Most companies can’t pass the ratings. American Ratings Corporation also monitors every Diamond Certified company with ongoing research and ratings. And your purchase is backed by the Diamond Certified Performance Guarantee, so you’ll feel confident choosing a Diamond Certified air duct cleaner. Q: I can see dust on the vents where air flows in my house. Do I need air duct cleaning? A: You may see dust on the registers, or grilles, where air flows into and out of your heating/cooling system. This does not automatically mean that you should get your air ducts cleaned. You can easily vacuum the grilles clean, or other wise clean them. It is normal for the grilles to accumulate dust over time. Look for large buildups of dust in the vents themselves to determine if you need an air duct cleaning because of dust. Q: Should I call an air duct cleaning company that is offering low price? A: Air duct cleaning companies in Alameda County that offer very low prices for the whole house should be avoided. The rate is often simply a teaser, designed to get the unwary to sign up. The customer can then be hit with extra charges that drive the price up. In 1996, the EPA estimated air duct cleaning charges between $450 and $1000. This should give you some idea of cost. Q: Does it matter whether the company uses a truck-mounted or portable vacuum to clean my air ducts? A: When the air duct cleaning is done according to NADCA standards, either a portable or a truck-mounted vacuum can perform adequately. While a truck-mounted vacuum is usually more powerful, a portable vacuum may be able to be brought closer to the job itself. For all portable and handheld vacuums that exhaust into the house, it’s important to be sure they use HEPA filters. Q: Does it matter what my air ducts are made of? A: Fiberglass is present in much of modern ductwork, whether in the shape of fiberglass duct board, fiberglass lining for ducts, or flexduct. Older ductwork may be bare sheet metal. The distinction is important for several reasons. First, cleaning is performed by using a brush or other tool to loosen particles, which are then vacuumed up. The bristles on the brush must be soft when used with fiberglass, so that the fiberglass is not damaged. 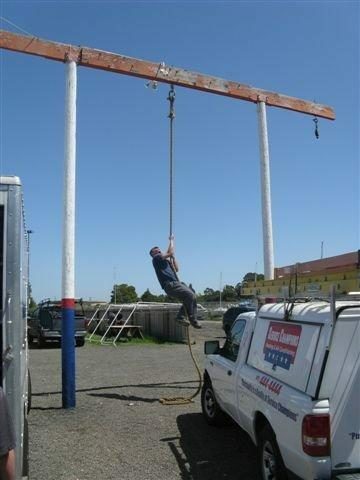 The air duct cleaning company must also be careful about using other tools instead of brushes – blowguns, air whips, and the like may not be appropriate for use with fiberglass. Secondly, once fiberglass is damaged by mold or water, it is recommended to replace it, rather than trying to fix or remediate it. Q: Why is there mold on my ductwork? A: Mold typically comes from damp that is allowed to linger. 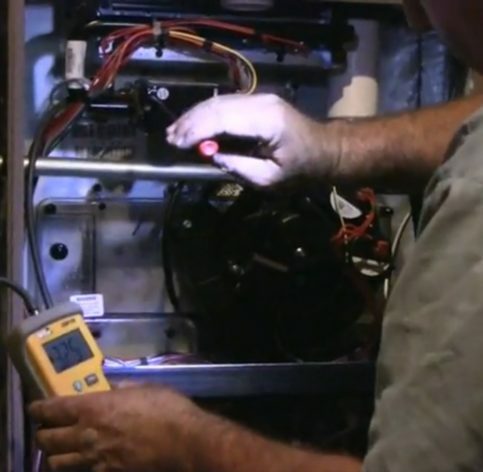 Damp can be a problem with a heating/cooling system if the coil is not properly drained. The coil is at the heart of the system and it is where refrigerant is changed from liquid to gas or vice versa. Changing the state of the refrigerant can remove humidity and heat or can bring heat in. The liquid/gas conversation can have condensation as a by-product. This condensation must drain properly so that mold does not take hold. This is one major source of mold. Q: My air duct cleaning company showed me mold from my duct. I never noticed it. Are they right? A: Some air duct cleaning companies will claim that you have mold in your ducts. You should ask for proof. The company may put a petri dish or similar collection device into the duct and then give you the resulting substance as proof that mold is present. Actually, no one can tell if mold is present visually. You should take the substance to a lab and get it tested to be sure it is actually mold. Q: My air duct cleaning company wants to put a sealant in my ducts. Should I let them? A: First, ask what the sealant is designed to do. Some sealants are offered with the claim that they will reduce the movement of dust and particles in the ductwork. You should not accept these sealants. First, the sealant will probably be applied by being sprayed into the duct. You cannot guarantee that the sealant will cover the entire surface properly. Secondly, for ducts with fiberglass, the sealant may harm their ability to resist fire and provide better acoustics. The sealant might even void the fiberglass manufacturer’s warranty. Other types of sealants, such as sealants to mend fiberglass or for fire resistance, might be appropriate for use. Ask what the purpose of the sealant is, how it will affect your warranties, and how you will know that it is working. Q: My air duct cleaner wants to spray anti-microbial chemicals in my ductwork. Is that OK? A: You should approach the use of chemicals in your air ducts very carefully. Sometimes air duct cleaning companies recommend chemicals to fight bacteria or mold. First, you have to consider how you or family members might react to the chemical. Second, you should ask to see the chemical’s label. You should make sure the chemical is being used for one of the purposes identified on the label – otherwise it should not be used. You should also check how the label says the chemical should be applied. If the chemical cannot be applied as directed on the label, it should not be used. For example, if a water rinse is required, it cannot be used in ductwork because water should not be introduced. With caution, chemicals approved for it may be used on bare sheet metal surfaces. There are no chemicals approved for use on fiberglass or flexduct, or any fiberglass material. If these materials have mold, they should be replaced. Rather than using chemicals at all, you should search for the source of the problem and try to eliminate it. For example, mold can be eliminated if it is caused by poor condensation drainage if you fix the way the condensation is draining. Q: What can I do to prolong the life of my air duct cleaning services? A: Air duct cleaners estimate that a clean lasts three to seven years, depending on who lives in the house, heating/cooling usage, the local climate, and the like. Your best way to preserve a clean heating/cooling system is to prevent dirt and water from entering. Make sure the draining in the system is handled correctly. Change air filters annually (at the same time, it’s good to do carbon monoxide testing). Make sure that you are not missing filters, and that the filter holders do not allow air to pass around the filter. Vacuum the house regularly to prevent dirt build up. If you have a major renovation project in the house, seal off the registers and don’t run the system until you have cleaned up after the project. Make sure ducts are sealed and insulated unless they are in air conditioned spaces.